What Is Technical Support Outsourcing? Get the latest news from industry experts. This entry was posted in Outsourcing on June 23, 2015 by Len Geiger. Corporate adoption of cloud-only IT will more than double over the next two years, reaching a total of 26% of all American businesses, according to a new report. More impressively, more than half of all small and medium-sized businesses (SMBs) will run 100% of their IT in the cloud by 2020. 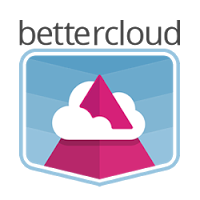 T he report, released by cloud management, analytics, and security services company BetterCloud, is entitled “Trends in Cloud IT”. It surveyed 1,500 IT and IT tech support professionals representing organizations in 53 countries – asking them about cloud adoption, cloud office systems and application usage. The results show that rapid cloud adoption is highly anticipated – although just how rapid will hinge on several factors. The survey discovered that 12% of companies currently run all of their IT in the cloud. By 2020, some 62% are expected to run cloud-only IT, according to the report. Companies using Google Apps are more than twice as likely to be cloud-only right now, with 17% more expected to be cloud-only within five years. Other major factors in cloud-only adoption include the company’s size and age – with smaller, younger companies much more likely to adopt cloud technology, and less likely to already be invested heavily in legacy services. Almost all businesses (96%) less than five years old plan to run all their IT from the cloud by 2026, while larger enterprises and organizations will reach 50% cloud-only adoption by that time. The adoption habits and patterns are much different when it comes to cloud applications. Enterprises are expected to surge 185% in their cloud application usage from today to 2017, while SMBs expect an 86% increase over the same timeframe. If you’re running a SMB today, it’s important to stay on pace with your competition and the trends in your marketplace. Whether you plan on migrating your IT to the cloud either today or tomorrow, you’ll want to ensure that you have only the best IT tech support professionals working on behalf of your organization or business. Be Different Solutions can help ensure that you arm yourself with the very best IT tech support professionals and solutions. When you turn to us to meet all of your IT tech support services needs, you’ll provide your entire organization with the peace of mind that hiring talented, experienced, intelligent and focused professionals provides. Your IT tech support people will all be based in one of our two Europe- or U.S.-based offices, and be highly skilled, experienced and proficient in conversational English. To find out more, visit our home page. Or just contact us right now. We look forward to working with you and your business soon! Copyright © Be Different Solutions. All Rights Reserved.